The storyline between Nia Jax and the current Raw Women’s Champion Alexa Bliss has a Batista-Triple H feel to it. The face turn by “The Animal” led to a world title run and the former Evolution member forever etched as one of the more popular wrestlers during the Ruthless Aggression Era in WWE. Nia Jax was brought up from the NXT roster a little too early and a lot too green. It was more out of necessity than hope – with the biggest and baddest performer on WWE’s women’s roster looking for her own place in time. 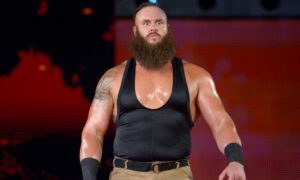 While the company slowly groomed Braun Strowman for a future run at the Universal Title, Jax lost time after time to more polished, more popular wrestlers. Now, Jax’s time may finally have arrived. With Asuka pointing the WrestleMania 34 banner in the direction of SmackDown Live champion Charlotte Flair, will Bliss’s run as women’s champion on the red brand come to an end at the hands of her so-called BFF? It’s not something that should happen. It’s something that has to happen. “Unfortunately, officials were never consistent in keeping her dominant and often had her lose more than she won, therefore damaging her credibility,” writes Graham GSM Matthews of Bleacher Report. The company needs to keep her as dominant as possible while striking a cord with the fans who support this most recent program. WWE has a chance to promote three women’s matches at WrestleMania 34 in New Orleans. The Asuka-Flair match is set. Bayley and Sasha Banks appear headed for another instant classic. And Jax may finally take that Batista turn many want to see. Because of how WWE has handled her character, there really isn’t another way to book her moving forward. She has become the sympathetic hero, the character embattled with being an outcast because of her size. Jax has looked strong in her recent feud with Asuka, despite losing to the “Empress of Tomorrow” in live events. The end of their match the Royal Rumble may have been the opening she needed to finally reach the apex of Raw’s women’s division. Bliss has played the hated villain perfectly, but as we know in this business, it must come to an end. Becoming a breakout babyface is the best way for the company to book Jax moving forward. It could be a hard sell for an extended period of time given her lack of main event experience as Matthews explained. But I caution everyone this is not a Strowman-like realization. The “Monster Among Men” gets over with his size, his power and his character. The mountain man is somewhat comical and has proven to have more personality in the past couple of months. Watching him thrown both Brock Lesnar and Roman Reigns around like rag dolls helps the big man get over in a big way. Tossing Banks, Bayley and Bliss around helped Jax, but it did not put her over. WWE must work harder to make her more “human” if that is possible. Jax does not have to remain a babyface all her career – as it is not possible to do unless you are John Cena or Bayley. Her imposing size and her scowl alone tell you she will make a turn toward the dark said once or twice again. For now, Jax should embrace the babyface turn, and what it means. First, it leads to a run with the Raw Women’s Title. The rest is up to her and WWE – however the company chooses to book her moving forward.